The Festival of Lights begins this Sunday evening, which means it's time to bring out some of our favorite Hanukkah recipes. Many of the holiday's cooking traditions center around oil, and while there are countless wonderful recipes for latkes circulating out there, we thought we'd like to try a twist on the classic this year with these (pan-seared, not deep-fried!) 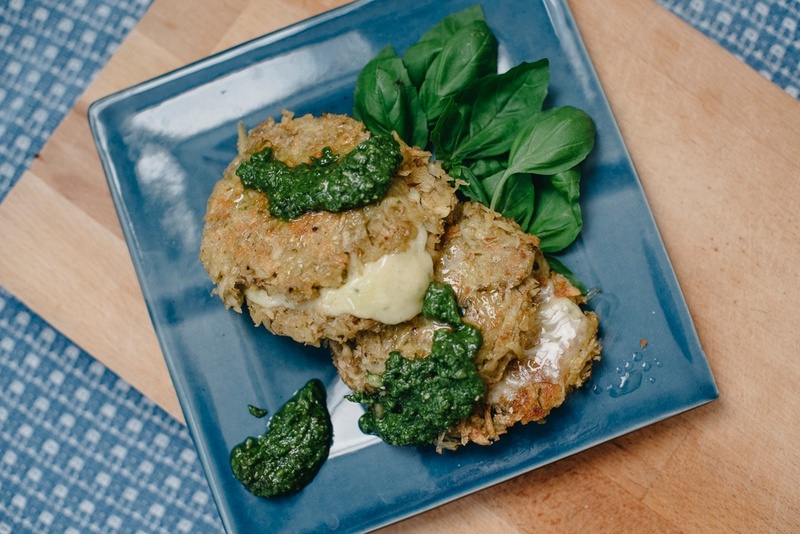 Grilled Cheese Latkes with Basil Pesto. Not only will you go bananas for crispy, gooey pancakes paired with a refreshing basil topping, but you'll love not having to lift a finger to acquire the ingredients. We have organic five-pound bags of russet potatoes available as add-ons, and fresh-cut basil coming from Happy Valley Organics in Whately, MA in boxes this week. Give yourself the best gift of all—time! Many members of the Boston Organics Community will open their boxes to find organic hachiya persimmons this week. 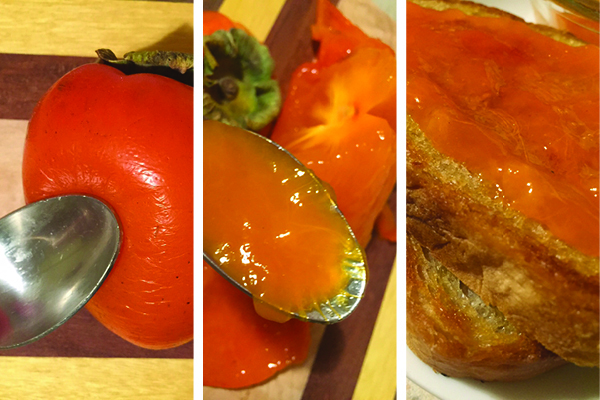 Unlike the more common tomato-shaped fuyu (which is sweet when firm) the oblong-shaped hachiya persimmon's high amount of tannins makes them mouth-puckeringly tart, which is why it's crucial to let them ripen completely. How do you know when organic hachiya persimmons are ripe? A hachiya should ripen on the counter until the entirety of its flesh is ultra soft—much like a water balloon to the touch. You may be tempted to give it a taste before it has reached this squishy state, but trust us—the best things are worth waiting for. When all your patience finally pays off, use the hachiya flesh in jams, puddings, cocktails or even just spread on a piece of toast. If you're in the mood to do a little baking, we recommend trying this sweet recipe for Persimmon Muffins. Enjoy your box and have a delicious holiday week.